ASIC has failed. Why is the government giving it more money? It's been one scandal after another ... decade after decade. Government has failed. The regulators have failed. More money fro ASIC will not help. We need an honest and determined commitment to genuine reform. It is up to citizens to make sure it happens. ANALYSIS: The Coalition is giving corporate regulator ASIC more money and more resources. If only ASIC was any good at regulating, writes Ben Eltham. The public hates banks. Given their mega-billions in profits, their ability to gouge fees and their constant stream of fraud and corruption scandals, you can’t blame them. The case for a fully-fledged royal commission into the banking, insurance and finance sector is open and shut. Since the mid-2000s there have been more than a dozen major financial scandals involving the sector, accounting for well over a billion dollars in fraud. As you can see, the problem is more than a few bad apples. Australian banking increasingly looks like a rotten orchard. The government had been hoping to make the run-up to the election this year all about trade union corruption and the Coalition’s superiority as an economic manager. But the press of events, a hard-working Labor opposition, and the government’s own confusion have made that impossible. 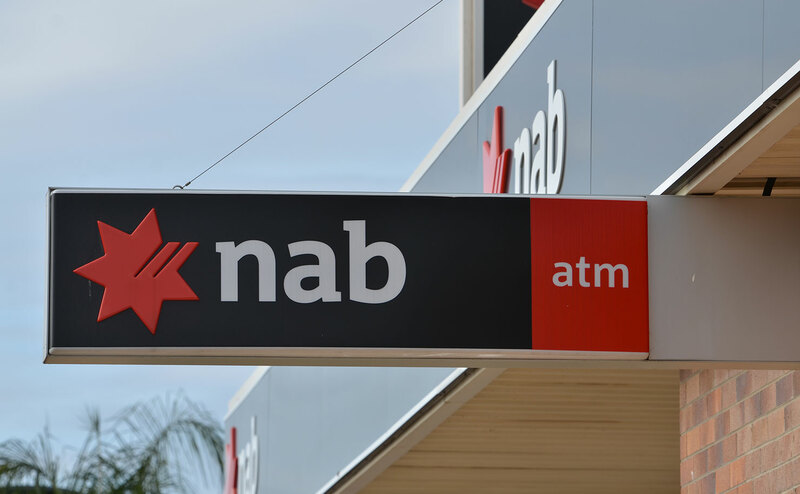 Labor’s announcement that it would push for a royal commission into the banking and finance sector is the latest in a strong suite of policy proposals that have wrong-footed the government, forcing it to play politics on Labor’s home turf. Now Turnbull is chasing after his opponents on issues like banking regulation, hoping to make up the ground the government conceded when it abandoned the policy initiative in February. And so yesterday we saw the humiliating spectacle of Treasurer Scott Morrison – once again looking manifestly out of his depth – announcing $121 million in new funding for the Australian Securities and Investments Commission. ASIC will also get some new powers, including a relaxation on who it is able to hire, so it can perhaps persuade some corporate poachers to throw in their lot with the gamekeeper. Of course, as nearly everyone has already pointed out, the new money merely gives back what the government took away in the 2014 budget, when it cut ASIC’s funding on the dubious grounds of “budget repair.” In fact, it’s not even giving back the full amount of funding, as the bulk of the new financing will come from financial firms in the form of higher regulatory fees. ASIC will get this extra funding ultimately from the banks themselves, who will have to pay more for their own regulation. Many wonder whether the regulator getting its funding source from the industry it regulates is such a good idea (ASIC thinks this is a great idea, but that is hardly a ringing endorsement). Deals between regulators and offending banks are the root cause of the failure of US authorities to send any of the major culprits of the 2008 financial crisis to jail. The government has refused to do anything about protections for corporate whistleblowers, who remain the most important source of information about banks behaving badly. It was Commonwealth Bank insider Jeff Morris who first blew the whistle on the widespread fraud and malfeasance inside the bank’s financial planning division. This led to the discovery of the massive Commonwealth financial planning scandal, in which thousands of ordinary Australians were swindled out of their life savings. Morris was forced out by the Commonwealth Bank, after bringing the issues to management’s attention. But, surprise surprise, ASIC didn’t listen to his complaints. In fact, ASIC has a terrible record of investigating allegations brought up by whistleblowers, or of preventing financial scandals before they implode. The woeful performance of ASIC is covered in excruciating detail by a 2014 Senate Report. If you read it to the end, you won’t have a lot of faith in ASIC to be a “tough cop on the beat.” Indeed, given ASIC’s disastrous ineptitude, you’d have to ask whether ASIC should be handing in its badge and looking for another line of work. In one notorious example, the Commonwealth Bank came clean to ASIC about breaching one of the regulator’s so-called “enforceable undertakings.” ASIC took no action, apparently because it lost the paperwork. ASIC was warned about the spectacular $176 million fraud at Trio Capital by a finance blogger, John Hempton, and duly investigated. But it failed to coordinate properly with prudential regulator APRA after its investigation commenced. Crucially, Trio’s funds weren’t frozen quickly enough. This allowed Trio fraudsters Jack Flader and Shawn Richard to transfer more $123 million dollars to a shell company in the British Virgin Islands, where the money disappeared forever. While ASIC eventually secured a conviction against Richard, it dropped its pursuit of Flader, despite a New South Wales court finding him to be the “mastermind” of the swindle. Richard served a paltry three years. ASIC also failed to properly investigate allegations of bribery in the notorious Securency scandal, in which a subsidiary of the Reserve Bank paid bribes across much of south-east Asia to secure lucrative printing contracts to print currency notes. ASIC failed to interview a single witness. Nor is ASIC the only regulator that we need to worry about. There are obviously pressing problems in the prudential regulator APRA, and plenty of unanswered questions at the Reserve Bank. You can see how ineffective these reforms are by the fact that both ASIC and the Australian Banking Association welcomed them. That’s hardly reassuring. ASIC needs root-and-branch reform to weed out the soft touches and instil a culture of efficiency and investigative nous. Solid legal protections for corporate whistleblowers are also desperately needed, as Jeff Morris and Labor continue to point out. Labor should keep pressing the government on banking reform. It’s shaping to be a winning strategy. That’s because the government can’t give in to Labor’s pressure. To do so would be to alienate one of most important pillars of the Liberal Party’s support. This government doesn’t really want to do anything about the banks. The Prime Minister is a former banker. The Assistant Treasurer is a former banker. The Cabinet Secretary is also a former banker. Perhaps just as crucially, the big banks donate generously to the Liberal Party. They dominate Australia’s economy. Taking on the big banks is the last thing any Liberal government wants to do.